By guest writer | March 27, 2019 | This post may contain affiliate links, which means we may receive a small commission, at no cost to you, if you make a purchase through a link. Read our Disclosure. 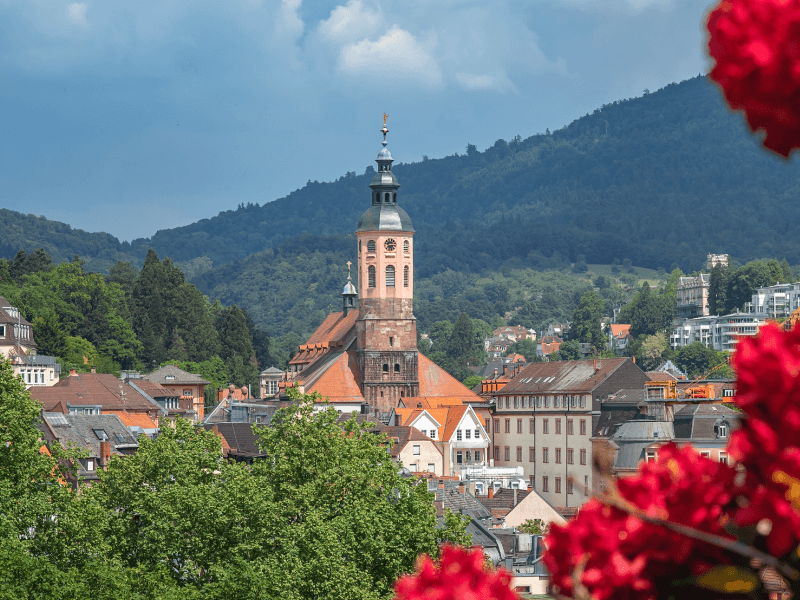 Looking for travel tips on what to do in Freiburg? As part of our city guides series, we interviewed Andrew Couch who has lived in Freiburg since 2007. 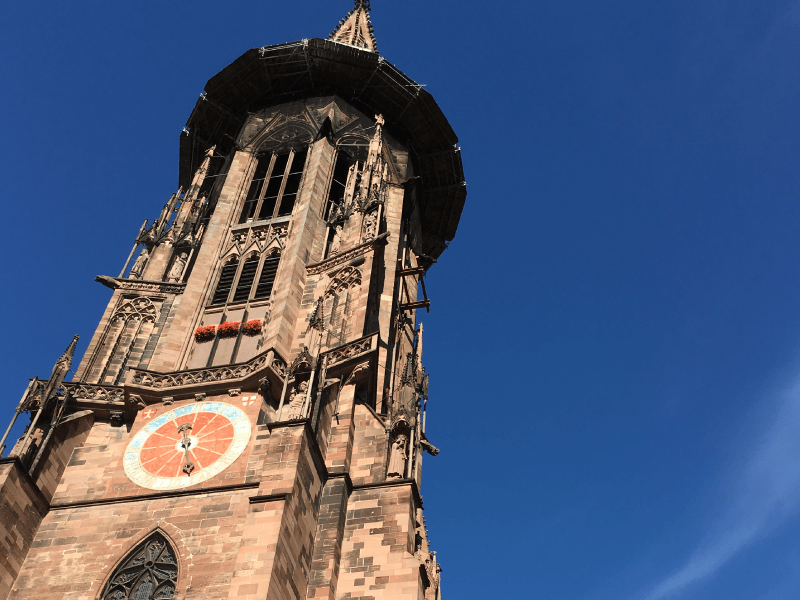 Andrew shares with us his insider tips on things to do in Freiburg for those looking for the best places to see, eat, stay, drink, and explore. Freiburg is a German university city out of the main English speaking tourist flow that runs Munich to Berlin and yet central in Europe. It is a beautiful, walkable city on the edge of the Black Forest known for being in the sunniest corner of the country. The university and its students keep it vibrant and cultural. It is a good base to explore this region with day trips to the nearby spa towns and the numerous hiking opportunities of the forest nearby. Start with walking around the old town with its historic buildings and relaxing squares. Go to the Cathedral square in the morning to see the farmer’s market and eat a sausage from the stands there. Explore the side streets and step over the Bächle, the tiny water rills along many streets which are unique to Freiburg. See the iconic Martin’s Tor (one of the former city gates) with the McDonalds in it. Then head up the Schlossberg (Castle hill). There are stairs and an elevator at Schwabentor (another former city gate) that head up. The mountain is an extension of the black forest and is terraced. At one level there is a beer garden with views of the whole city. The next level up is Cannonenplatz with seats and views as well. Further up is a lookout tower to climb. The city itself is pretty relaxing, so to “do stuff” you need to leave town for a bit. If you like a good walk, head down to the river and start walking. My favorite direction is east toward the forest. You can walk for miles along the river. In the summer the banks are a popular hangout. Certainly, the Altstadt (old town) is the best place to walk around. The Cathedral and Town Hall have their own squares and the pedestrian shopping streets are there too. On a Saturday this is where the action is. If you want to get out of the center there are a few neighboring districts to look at. Weihre is south of the center and over the river. It is one of the older neighborhoods with older buildings. While mainly residential, there are some nice places to shop and eat. Stühlinger is the other side of the train tracks and mainly a student area. More little neighborhood cafes here. Gunterstal is the end stop on the green line going south. It is almost a self-enclosed village of its own with expected charm. I’ve got a whole post at Grounded Traveler of places to eat in the Freiburg old town for more detail. The best food for a quick lunch is at the Markthalle, a food court of many ethnic food stands right near the center. If you want something more upscale try the Schloß Cafe. An old hunting lodge on a hill with great views, although a bit of a walk from the center. Flammkuchen. It is a thin crispy dough with cream sauce and toppings. So a bit like a pizza, but not. The classic toppings of onion and bacon are from just over the river in Alsace France. A lot of places in town serve it and most will put just about anything you want on it. Feierling. This is a tiny brewery in Freiburg with both a pub and a beer garden. The beer is unfiltered and a little sweet, but very fresh. Hit up Niemannstrasse near the University. There are a number of bars and cafes that are open late. In summer sitting out side is an easy and enjoyable prospect. For a unique and local stay check out Airbnb. 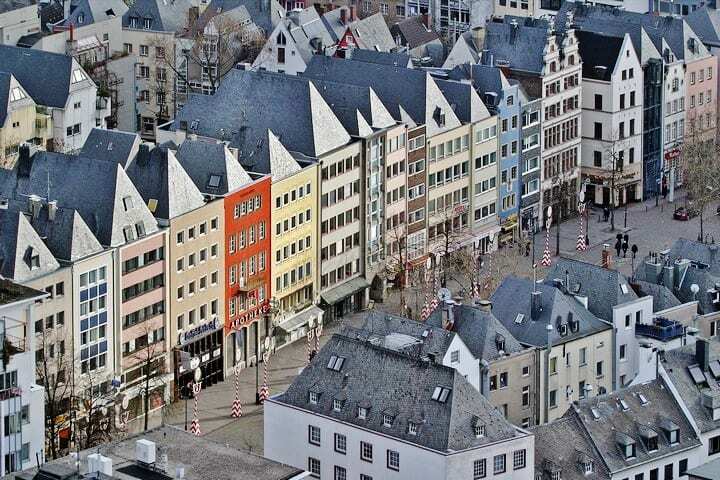 Click here for available properties in Freiburg. 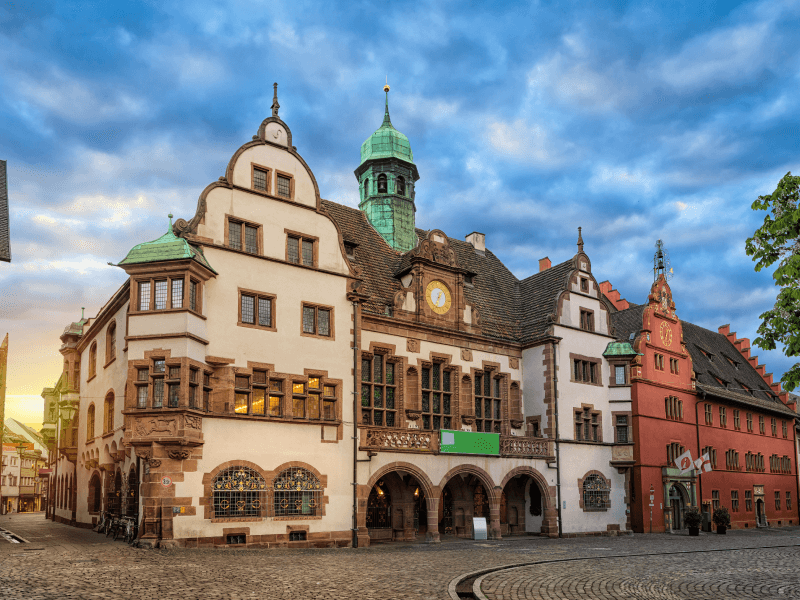 For places to stay in Freiburg choose from the largest range of hotels, apartments, and guesthouses with our partner Booking.com. You get free cancelation on most rooms, and in most cases you only pay when you stay. Freiburg has two hostels with the Black Forest Hostel being closer to town. I have put my parents up in the Schwartzwälder hof a few times and they like it. It is a small hotel right in the old town. I have always come to Freiburg to live so always had apartments to move into. Although when I move here from the US permanently I did stay for several weeks in the City Hotel. It isn’t pretty from the outside, but it is right in the old town and the staff was friendly. The old town and the pedestrian streets there are the main shopping district. It is mostly big name stores, not too much unique. The best market is the one around the Cathedral. Christmas Markets for the four weeks of Advent in November and December. Summer brings wine fests both in Freiburg and surrounding towns. Summer also brings music and local fests in specific sections of town and on the castle hill. Fasching is the German version of Mardi Gras celebrated 6 weeks ahead of Easter on a Monday. Not an official festival, but October brings New Wine Season. Check out the sweet new wine in the market. The center of the city is very walkable. Even from the center to one edge of the city is about an hour walk. There is also a tram system that keeps all parts of the city well connected. Unfortunately no. Starbucks is your best bet for wifi even if you might have to pay for it. Late spring to early fall. The town lives up to its reputation as the sunniest part of Germany. This is also the time for many festivals both in Freiburg itself and surrounding towns. Sit in the sun and enjoy a cold beer or wine in a square. Freiburg is a great town, but it can feel small. However it is at the center of a good regional transport network so day tripping is a really excellent idea. 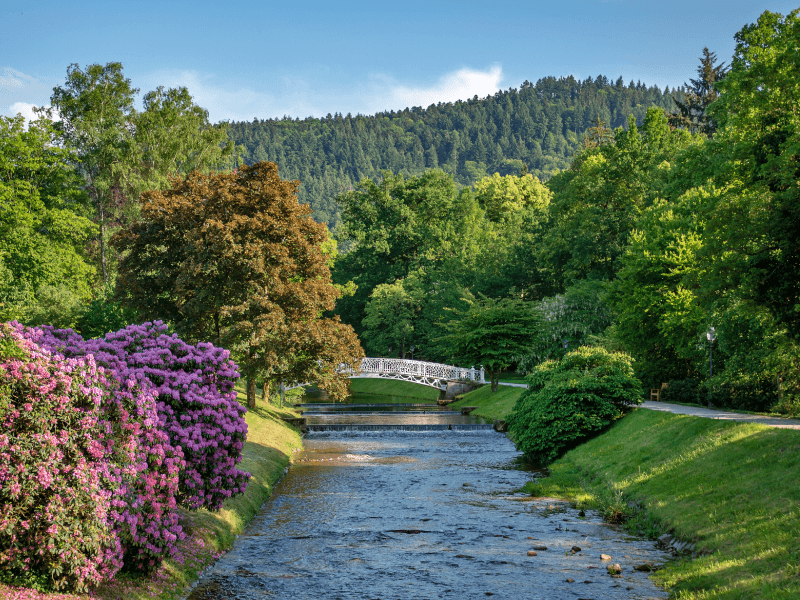 Titisee or Feldberg in the forest, the spa resort town of Baden Baden, the Kaiserstuhl wine growing area or even Switzerland are all within a few hours on the train and make easy daytrips. Afterward come back to town and enjoy a beer. Frankfurt International airport has a train station in it that has links to Freiburg. The ICE train connections take 2 hours and either run straight or have a very easy connection (same platform) in Mannheim. Basel Euroairport has an Easyjet hub and it connected by bus to Freiburg. The train is probably your best bet if you are already in Europe with Milan and Paris about 5 hours away. My quirky favorite is the marking on the ground just north of the old town where the 48 latitude line goes through. It is an inlay in the sidewalk. It feels like home. Not just that I have lived here, but it has a lot of elements that make it feel like my favorite teenager haunt of Chapel Hill back in North Carolina as well as Blacksburg, VA where I went to college. Check out the properties in Freiburg on Booking.com You get free cancellation on most rooms and a best price guarantee. BIO: Andrew is a American who now lives in Freiburg, Germany. 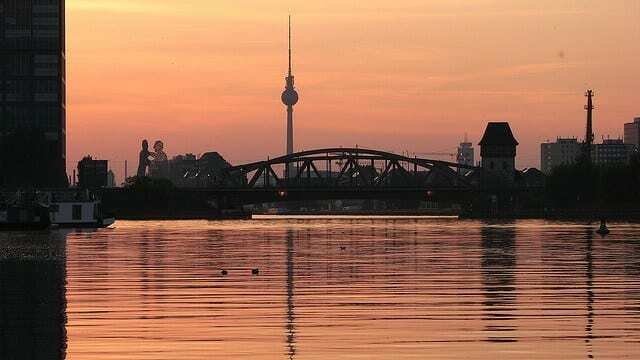 He writes about the expat experience of putting down roots in Germany and travels around the world at his blog Grounded Traveler. He is also active on Twitter and has Facebook. He is married to Ali of Ali’s Adventures. It looks lovely! No wonder Andy and Ali are so happy there! Visited a friend who was living there in summer of 2009 and loved it–was so nice to explore a small town after hopping from big city to big city as I backpacked through Europe! It’s a really lovely place. I love Freiburg. I think it might be my favorite city in Germany. The streets are perfect for wandering — until you get tired and need a beer, of course! Fun post! I am hoping to visit Freiburg this fall so your timing was perfect. Looks lovely! I like how you noticed that the University students add to the culture. It looks like such a lovely & charming town! Thanks so much for doing this series Craig. I really enjoyed sharing my new hometown and a really beautiful part of Germany with you. @Christine – I like how Freiburg is both a small place and still a city. @Susan – Beer and relaxing are specialties of Freiburg in my eyes. @Maria – I love Uni towns. I don’t think I would be happy living very far from one. Students and learning make me feel at home. @Debbie – As tweeted, let me know when you guys are coming. @Jeremy – Thanks. I am quite happy being “Freiburg guy.” Definitely come during Football season and we will figure out how to get tickets. I actually have a good mate who moved there (because of a girl!). Never visited him though because he didn’t sell it quite as good as you did! Germany – There are alot of beautiful towns and cities to visit. I live as an expat in North West Germany and it looks quiet similar to Freiburg. Of course all the old part of the towns are just so quaint and full of character. The bad point (or good points for some) are the bakeries! Gained way to much poundage from those cakes! Enjoyed your psst about put Freiburg Im Breisgau, and only disagreed with you regarding the Feierling brewery. As students we drank their beer when our funds were low, and, even then, we referred tipoff the beer as “Reierling”. What a lovely blog post! I was born in Freiburg and love this city. I live in England now, but reading your article makes me want to go back. You describe everything as it is in reality. Thank you for this post!!! 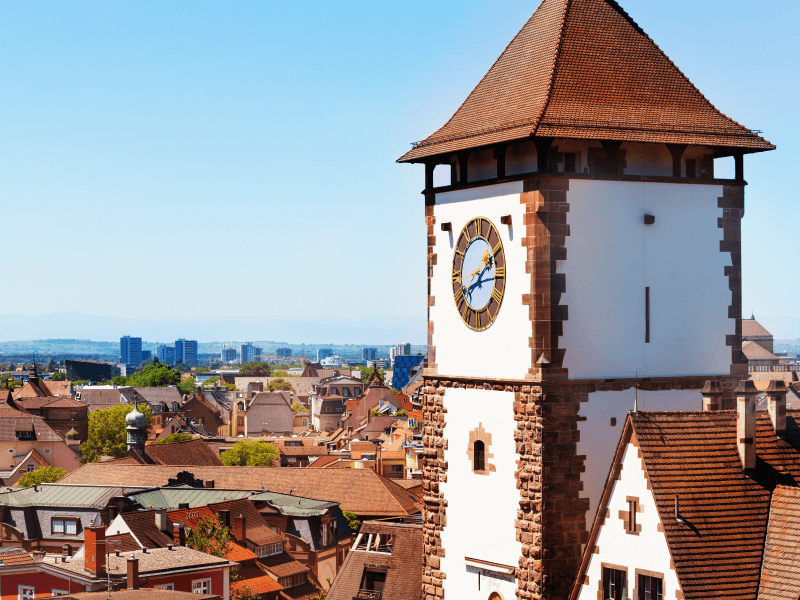 I’m looking to take a day trip to Freiburg from Basel and hoping to get a good cuckoo clock to take back with me. Any tips on cuckoo clock shopping? Great post Andrew! I was on a hunt for an article about traveling to Germany, and came across your post. I especially liked how you provided such a thorough description of Freiburg. You make it sound like such a charming, old European city! Good luck with your visa Ned!